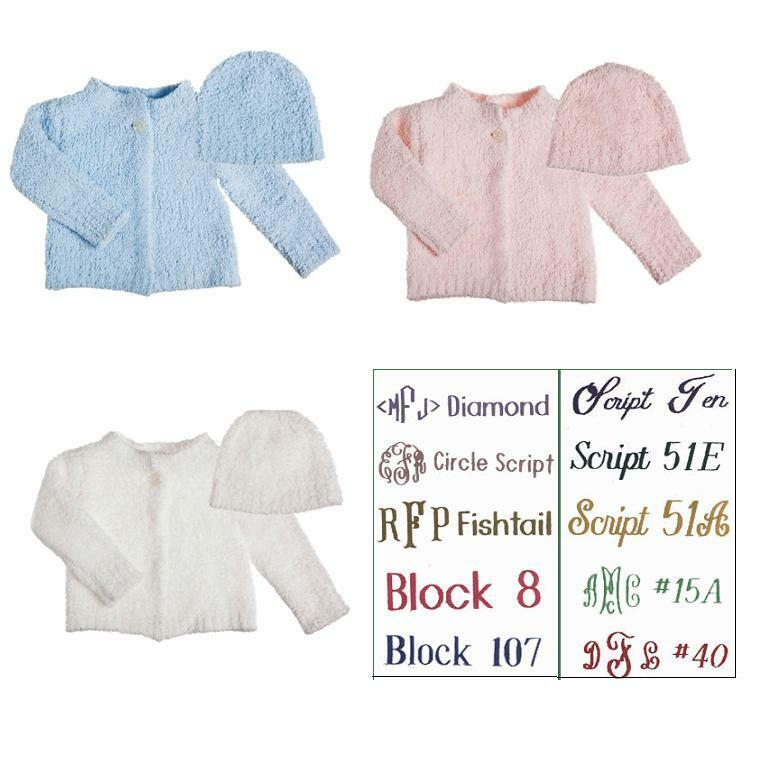 Sweater/Hat Set Color: Please Choose OneWhitePinkBlue Personalization: Please Choose OneNoneSingle InitialMonogramName Initial, Monogram, or Name: Font Type: Please Choose OneNoneDiamond (monogram)Circle Script (monogram)FishTail (monogram)Block8Block107Script10Script51EScript51A#15A Font#40 FontCurlyStacked(monogram) Block Stacked (monogram) Thread Color: Please Choose OneNoneRedOrangeYellowDark GreenLight GreenBlueLight BlueDark PurpleLight PurplePinkBlackBrown Who is this item for? 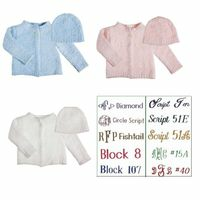 Chenille baby cardigan has long sleeves and a single button at neckline. Matching hat is warm and soft. 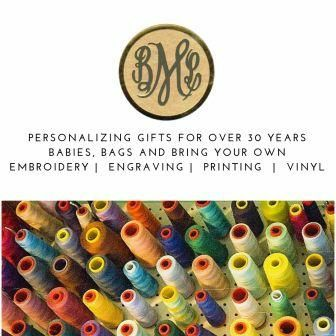 Specify Blue, White, or Pink set. Embroidery will be done on hat and sweater. If you only want a single initial on the hat please specify.